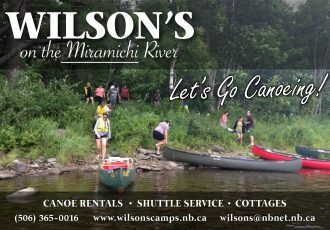 Wilson’s Miramichi Report for May 8th , 2015 . The river is in excellent shape and there is still a good number of salmon around . 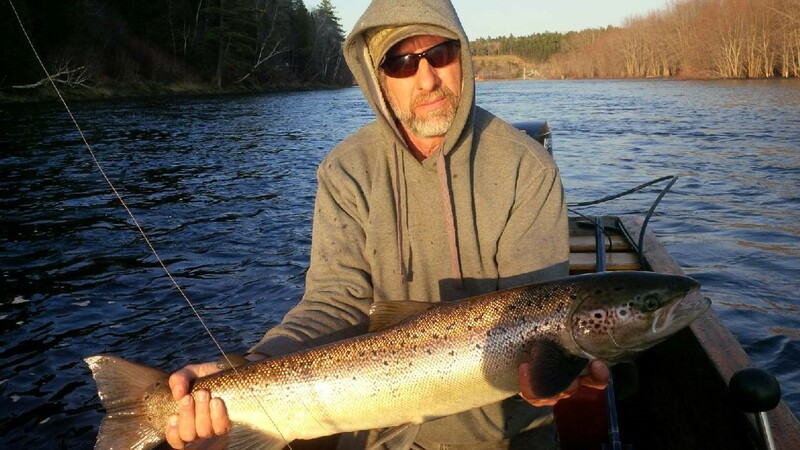 Despite the strong wind and tough casting Graham S landed this beauty on his last cast of the day .Check out the unusual large girth and bright color of this spring salmon . We are picking up more trout now but still no sign of the elusive sea-run brook trout,which should be along any time in late May.